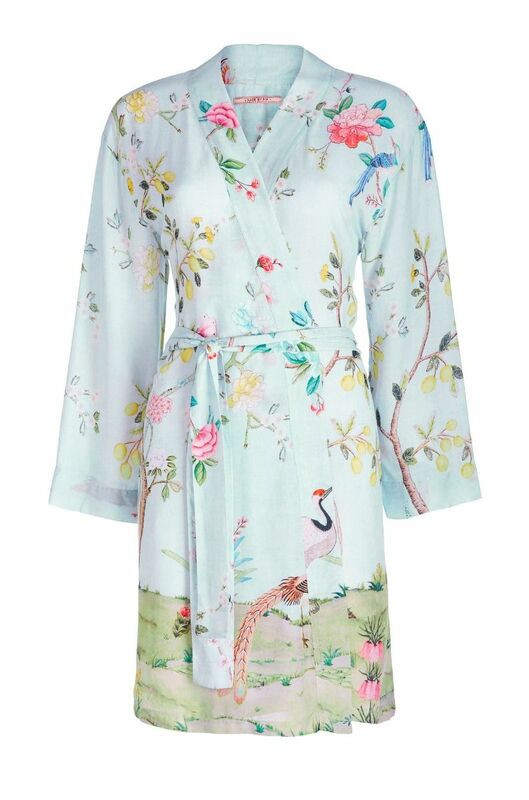 The breezy Ninny kimono with beautiful 'Goodmorning' print is wonderful as a cover-up for a day at the beach, or just during hot summer days in the city. 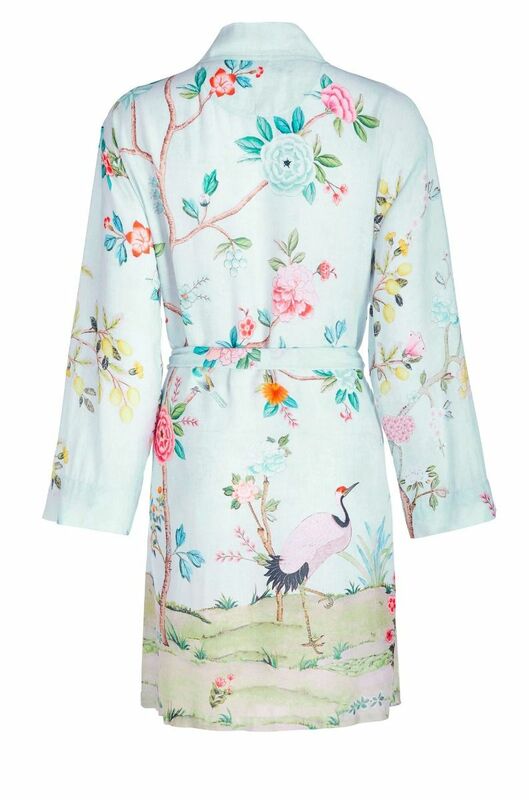 The 'Good Morning' print is a colourful illustration of branches, flowers and birds in an Oriental colour palette. 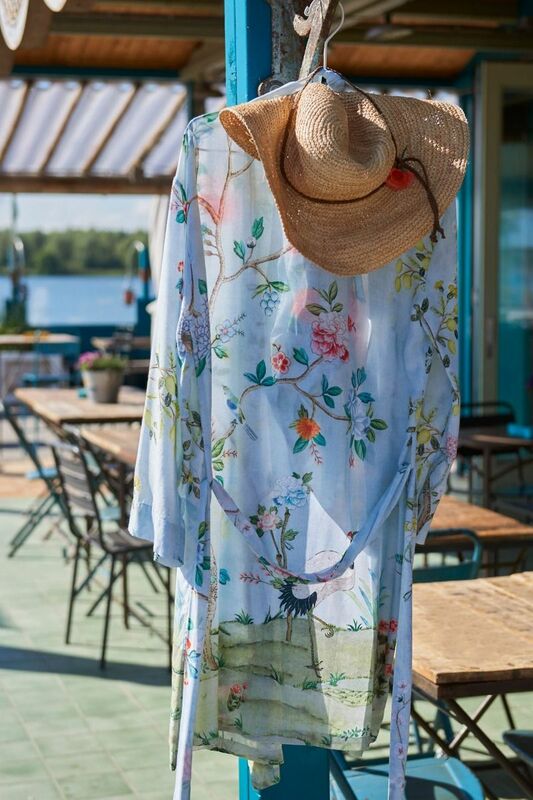 Great to combine with the 'Sabine' swimsuit in the same print.